Review of Robert Adam's Finite and Infinite Goods: A Framework for Ethics. New York: Oxford, 1999. 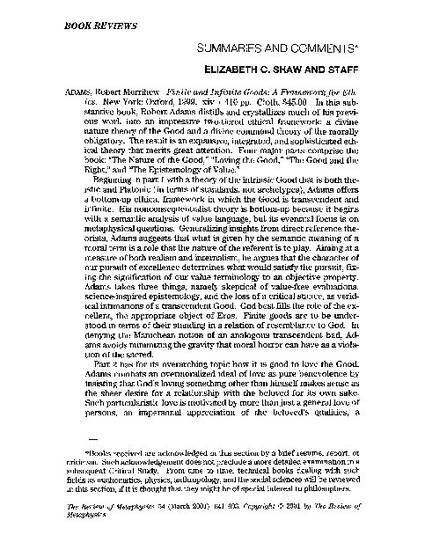 Published in the Review of Metaphysics, 54:3, 641-642, March 2001.